If you've ever wondered why some people shrug off a flu while others die from the same virus, you're in good company—it's puzzled scientists for decades. But a new study suggests that a mutant protein found in some humans is responsible for the difference. A team of researchers from the University of Cambridge has found that a protein—snappily named IFITM3—which stops many flu viruses from invading cells is mutated in some humans. When the protein is deformed, many flu viruses spread more quickly through the body, penetrating deeper into the lungs and replicating 10 times more. Ultimately, those effects induce pneumonia, the most common cause of death in severe cases of flu. 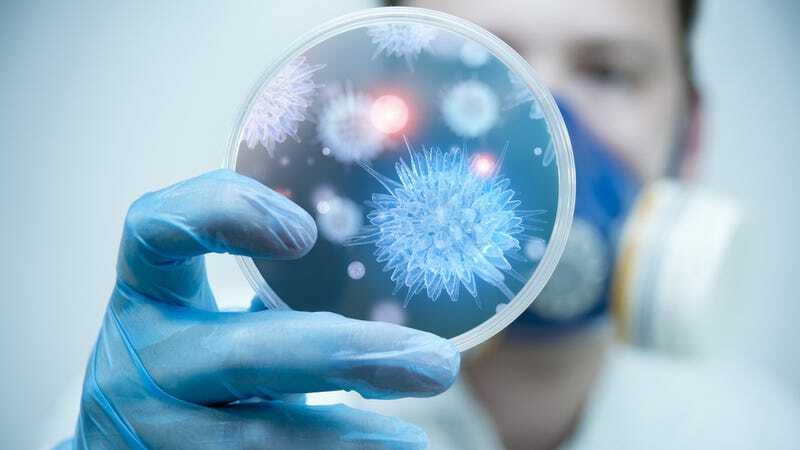 The study, which is published in Nature, shows that patients admitted to intensive care units in the UK because of pandemic or seasonal flu were 17 times more likely than the European average to have the mutant protein.